Beautifully designed watches of superb quality second to none are the speciality of the Armand Nicolet brand. Sure to get talking heads turning their heads in awe and admiration. As if to sauy wow! Who is this brand ? Obviously oozing pedigree and heritage from meticulous hours, days, months and years of state-of-the-art workmanship. Armand Nicolet watches sure enough are one of the most unique and awe inspiring watch manufacturers known by the few in the know and marvelled by whoever comes across their watches. 2 How good are Armand Nicolet watches? 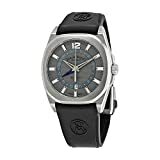 3 What is the price range of Armand Nicolet watches? 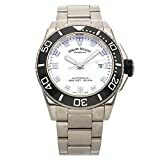 4 What is the Warranty like for Armand Nicolet watches? Armand Nicolet was the son of a watchmakerwho after his apprenticeship founded his “Atelier d’Horlogerie” around about 1875 in Tramelan, Switzerland. In 1902 he reached perfection in watchmaking skills by producing a pocket watch with “guilloché”rose gold case, enamel dial, single button chronographic function, complete calendar, repeating hours, quarter hours and minutes. Armand Nicolet also continued to refine his technical skills with important studies on design which would continue to influence his work to come. Nicolet’s watches are beautiful masterpieces with extraordinary quality and precision and can be viewed in the Nicolet SA’s museum as well as collections from top watch enthusiasts. After the demise of Armand Nicolet in 1939 his son Willy succeeded him and took over the family business over the course of the next half century built it up to be one of the most renowned watchmakers in the region. In 1987 Willy Nicolet met a certain Mr. Rolando Braga, an Italian entrepreneur with a number of interests in the watchmaking industry. The meeting evolved into a strategic collaboration marrying extraordinary Swiss technical skills with Italian creativity. How good are Armand Nicolet watches? Today the company continues to produce beautiful timepieces of exceptional design, quality, and precision. These are deifintely not junk. A friend just bought an Armand Nicolet LS8 and it is absolutely beautiful. It feels and looks like a quality watch. A Tissot Tissot Chemin h Tourelles Squellete looks cheap in comparison. Although the Tissot costs $1400 and the Armand Nicolet $3400. Well worth spending the extra for the Armand Nicolet. These watche get plenty of attention due to the outstanding quality and design. What is the price range of Armand Nicolet watches? 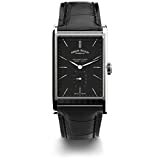 We have noticed that there are many comments from verified Armand Nicolet watch owners and watch enthusiasts on various review sites regarding the out of sync retail pricing of the Armand Nicolet watch brand. Closer investigation will conclude, rightfully so that AN timepieces can be found for sometimes up to half the recommended retail price. As many forums also seem to confirm our findings, nevertheless these watches still provide outstanding value in our opinion. 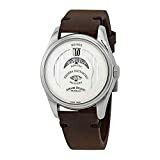 We have noticed that where models are marked down the most, especially by grey market sellers like Ashford and others, watches on offer although new, are older models that may require service. So you could buy a watch and find after half a year or so that it would require fresh oil or a service as it might well be 5-7 years since it was manufactured. In the case of requiring a full service, it would set you back around $220. 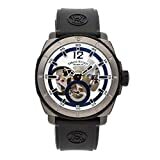 Even if you happened to lets say buy a discounted new Armand Nicolet watch albeit manufactured a few years back, requiring a complete service, you will still nevertheless get a whole lot of a watch for your money even after paying for the service. In addition not to forget Armand Nicolet do have an extraordinaryly unique and outstanding look and feel which would make the effort well worth it. Armand Nicolet have a nice presentation for their watches and all come with a certificate and technical info for timing. 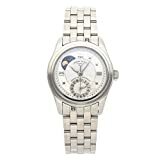 For example you would be well off buying a brand new, Calibre Armand Nicolet 9201/2846 full calendar moon phase watch with a sapphire crystal and display case back for under $1500 even having to spend a couple of hundred or so for a full service. Check our listings for a AN LS8 which whenever available would be agreat buy. What is the Warranty like for Armand Nicolet watches? Armand Nicolet watches are covered by a limited international guarantee against any manufacturing defect for a period of two years from the date of purchase, and for a period of one year after repair. You can register here and activate warranty. Swiss mechanical automatic with date functions. 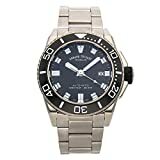 WatchiWatches presents the best Armand Nicolet reviews supplemented by top rated user reviews and top discount deals with shipping door-to-door. We have all the latest and best Armand Nicolet watches in this Armand Nicolet watches review with lots of buying tips and insider insights from verified users and owners. 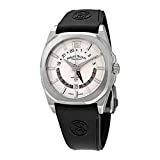 Choose your new Armand Nicolet watch from our Latest and Best Armand Nicolet watch selection and reviews whilst searching for your new watch to grace your wrists as well as your investment portfolio. 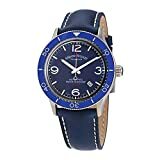 Click on the links to check the latest offers and deals for the coolest Armand Nicolet watches in the online watch market place. Looking for a new companion? Just simply scroll down the page to get the full overview of all the Armand Nicolet watches covered in this watch buying guide and review. 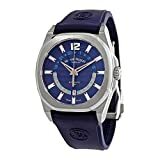 Regardless whether you are looking for Armand Nicolet watch for women or for men we have the best Armand Nicolet watch review for you so that you can make the best choice possible within your budget. 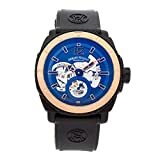 Be sure to read the user reviews to be able to pick up on points of interest that really do matter to actual wearers of this top watch brand. 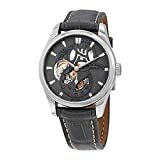 Many of these points are missed out by traditional review sites as you would need input from watch enthusiasts and owners who actually wear their watches day in day out, and consequently know very well the pros and cons of the timepiece purchased. 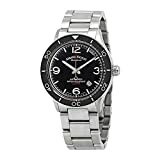 Compare these Armand Nicolet watches to Breitling and Omega watches to appreciate the excellence of this small and specialised Swiss watch brand.